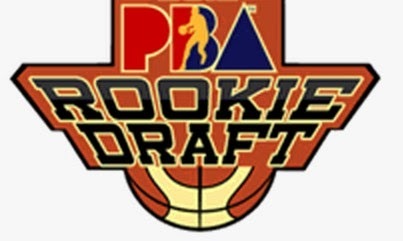 Manila, Philippines -- The PBA Draft 2013 has already happened few hours ago at Robinsons Place Manila. A number of amateur players who applied for the annual draft have finally fulfilled their goals to be in the PBA. As expected, Ginebra grabbed the rare opportunity to get the 7-footer big man Greg Slaughter as their number 1 overall pick. What's surprising is that they drafted 3 guards and an extra big man. They drafted athletic guard out of the Arellano University, James Forrester (4th Pick), UP stand-out Alvin Padilla, savvy guard Jens Knuttel and an unsung big man, the 6'8 Maika Usita who plays like JR Quinahan or the Extra Rice Inc..
Ginebra also called the name of the DLSU Green Archers' point-guard LA Revilla, although, they decided to trade him together with their 2016 and 2017 2nd Round Picks in exchange for Global Port's 2014 first round pick. Revilla is one of my favorite UAAP Ballers that's why I'm happy that he was drafted by a PBA Team. I'm rooting for him to get drafted not only because we have the same height, but also because he has a big heart and he plays like LA Tenorio. There are also other notable draftees this year that can provide instant impact. Check 'em out on the list below.